Search Results for "Parliament Hill"
Parliament Hill Statue Dusk. River facing side of the Centre Block at Parliament HIll in Ottawa, Canada during dusk. Parliament Hill Ottawa Time Lapse 1. Late afternoon time lapse shot of the Centre Block building, on Parliament Hill in Ottawa Canada. Rendered in 4K from high resolution stills. Parliament Hill Ottawa Pan Left. Parliament Hill in Ottawa, the capital of Canada. Panning left from the East Block building to the Centre Block building on a sunny Autumn afternoon. Parliament Hill Tilt Up From Gate. Parliament hill in Ottawa, Canada. Tilting up from the exterior gate to the Centre Building and Peace Tower on a sunny Autumn afternoon. Parliament Hill From Elgin Street. Parliament Hill in Ottawa, Canada, as seen from Elgin Street on an Autumn afternoon. 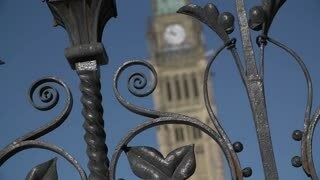 Parliament Hill East Block Canada Time Lapse. East block of Parliament Hill in Ottawa, Canada. Shot in time lapse during dusk. 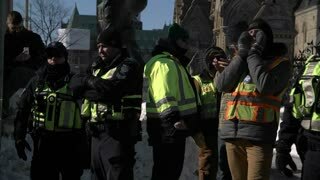 Parliament Hill Ottawa Time Lapse 2. 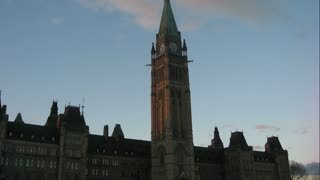 Late afternoon time lapse shot of the Centre Block building, on Parliament Hill in Ottawa Canada. Unique perspective. Peace Tower Parliament Ottawa Tilt Up. Close up tilting up shot of the Peace Tower in the Centre Block building on Parliament Hill, Ottawa, Canada. Shot during late afternoon on a sunny Autumn day. Peace Tower Parliament Ottawa Tilt Down. Close up tilting down shot of the Peace Tower in the Centre Block building on Parliament Hill, Ottawa, Canada. Shot during late afternoon on a sunny Autumn day. Parliament Hill and the Ottawa River, shot from Majors Hill Park. Aerial skyline view of the City of London from Parliament Hill, Hampstead Heath, London, England. Time lapse. Highgate seen from Parliament Hill, suburban area of north London at the north-eastern corner of Hampstead Heath.